Durafit Floors present Bermuda Grass - a landscape product that is the perfect solution to synthetic turf for every home and every business. 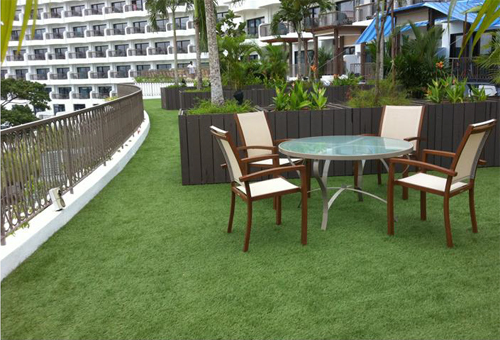 Bermuda Grass is being extensively used at various types of locations, including roof-top terraces, balconies, swimming pool surround areas etc. Being a completely maintenance-free product, it is designed to last for many years, giving a green and natural look to any bare surface, without needing any watering etc. Manufactured in roll lengths, this is available ex stock and can be installed in a matter of hours.